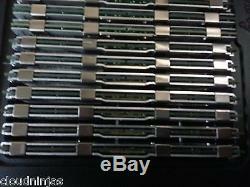 64GB (16 x 4GB) DDR2 FB Fully Buffered PC2-5300 667 Memory Dell PowerEdge R900. 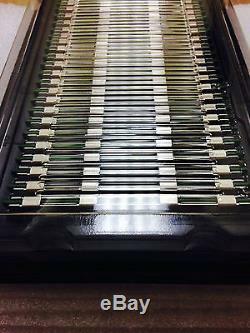 The item "64GB (16x4GB) PC2-5300F DDR2 Fully Buffered Server Memory RAM for Dell R900" is in sale since Friday, January 23, 2015. This item is in the category "Computers/Tablets & Networking\Computer Components & Parts\Memory (RAM)". The seller is "cloudninjas" and is located in Houston, Texas. This item can be shipped to United States, Canada, United Kingdom, Germany, Japan, France, Australia, Denmark, Romania, Slovakia, Bulgaria, Czech republic, Finland, Hungary, Latvia, Lithuania, Malta, Estonia, Greece, Portugal, Cyprus, Slovenia, Sweden, South Korea, Indonesia, Taiwan, Belgium, Hong Kong, Ireland, Netherlands, Poland, Spain, Italy, Austria, Bahamas, Israel, New Zealand, Philippines, Singapore, Switzerland, Norway, Saudi arabia, United arab emirates, Qatar, Kuwait, Bahrain, Croatia, Malaysia, Antigua and barbuda, Aruba, Belize, Dominica, Grenada, Saint kitts and nevis, Saint lucia, Montserrat, Turks and caicos islands, Barbados, Bangladesh, Bermuda, Brunei darussalam, Bolivia, French guiana, Guernsey, Gibraltar, Guadeloupe, Iceland, Jersey, Jordan, Cambodia, Cayman islands, Liechtenstein, Sri lanka, Luxembourg, Monaco, Macao, Martinique, Maldives, Nicaragua, Oman, Pakistan, Paraguay.